As we all know, the next legislative session will be consumed by redistricting, along with the biennial budget, a voter ID bill, a sonogram bill, a possible immigration debate, and a potential challenge to Joe Straus for the Speaker's gavel. However, redistricting is probably the most pertinent issue as Texas is expected to gain four congressional seats--four times as many as any other state! This is truly exciting news, especially for Texas conservatives as we may potentially have four more voices in Congress to fight President Obama's far-left liberal agenda. The only problem here is that the Texas Democrats (who we all know to be immature little children when redistricting comes around) want their "fair" share. Democrats had control of redistricting in Texas for nearly 150 years, yet they cry foul and leave the state when the voters give our party a turn! 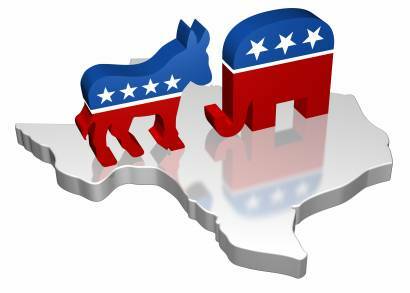 It is obvious that the people of Texas support Republicans more often than not and if we gain a larger majority in the House, as is expected, I would say it is a clear mandate from the electorate for Republicans to draw our new districts in a way that is favorable to our party. Back when Ann Richards was governor, Republicans had about eight of the thirty congressional seats. Are people naive enough to believe that this was because there were so few Republicans in Texas? No, it was because the Democrats redistricted in a way that was harshly in their favor and against the will of the electorate. So in 1994 Texans not only elected a Republican governor, but also another Republican US Senator, gave control of the Texas Senate to Republicans, swept Republicans into statewide offices, and helped take control of the US Congress! That is what happens when those in power become greedy; and should Republicans redistrict in a way that Texans don't like, then believe me, we will show our disapproval in the voting booth. So why are the Texas Democrats whining and asking that they get two new seats while we, the party in majority, also get two new seats? They say that we must do so in order to keep minorities from being disenfranchised! I happen to believe that the Democrats are disenfranchising minorities by voting against our values and beliefs, but that is an issue for another blog and another time. But that is their mistake! They just assume that all of us will continue to blindly vote for Democrats and aren't smart enough to realize when we don't agree with someone. As more of us become more vocal and involved in the Republican Party, I assure you that Latinos will become a true swing vote in favor of conservatives. Thankfully we have people in the Texas House like Rep. Harvey Hilderbran who will fight to make sure that the new districts represent the will of the people. At the committee hearing on redistricting in San Antonio, Rep. Hilderbran made a good point saying that while 45-50% of the voters in Bexar county vote Republican, they only have 20% of the representation in the Texas House. We deserve the will of the people; that is what representation means, and I am glad to know that Rep. Hilderbran is on the Redistricting Committee and will be fighting for a map that reflects election results. Texas is a state that Obama lost by nearly one million votes in a high turnout election. If that does not scream that we are a Republican state and that we have earned the majority, if not all, of the new congressional seats, then you are clearly delusional and probably one of those people who hates the fact that despite how "backwards" and "ignorant" Texas is, we are more successful than any of those bankrupt liberal states. I'm sure that as Democrats are the majority in all of those bankrupt states, they will be redistricting their states to favor their party, so why is it wrong for Texas Republicans to do so as well? So of course the liberals in Texas will complain and say that we are politicizing redistricting and to them I say, "So...?" Making sure that our state's districts reflect the will of the people is not a terribly evil thing, unless of course you're a liberal elitist who views the people as obstacles to getting your way and not as concerned citizens who deserve to have their voices heard. After all, that's what redistricting is all about, right?--making sure we get our voices heard in the legislature. Thank you for taking the time to explain this very important issue.